Come sit with me for awhile. Right here, dear one, on the bench. Let us enjoy the sunshine on our faces and its glistening sparkles on the water. Look up, see the leaves changing hue. Fall is in the air. I am well dear girl. Looking down on you with joy in my heart. You know I’m all around you always. I am proud of you. I support you. I am here for you, even though you can’t see me. My spirit lives with you and your darling sons. I know what you’ve been through. Did you feel me holding your hand when you were sobbing and feeling so bereft? I was there in the quiet of the middle of the night when the tears were falling. I was there when your wounded soul needed comfort. Do you remember the prayers? I heard them. I am always listening. Do you not see the beauty before you? How the seasons have changed turning greens to golds and rubies? Let go of the sadness before you. Move on from the mourning and embrace the changes with your heart. Like the leaves which let go from the branches, be free of what holds you back. The ground is safe for you to land upon. There are others there waiting for you to take that step forward with hope in your heart. Walk with me. Let the earth bond with your feet. Feel it? It’s solid, comforting and real. A soft place to land for you. Touch the grass. It’s still fertile and green after the rains. All is well dear girl. I am here with you. I will never leave your side. Call upon me when you need me. I am here to help. The movie Still Alice haunts me to my core and yet every time I watch it, I glean more insight and my heart breaks open a bit more. And still, I continue to watch it when I am alone. Why, you may ask? Why would you make yourself sad intentionally? Isn’t it hard enough to experience your family enduring the road that Alzheimer’s Disease and Dementia have put us on? And the answer is yes. But, I search for answers. I find power within when I allow myself to feel each character’s pain. It may sound funny to you, but I can relate to Alice, to her husband, to her daughters, all in different times in my life, and at times, simultaneously. My compassion for the characters and for my family members increases every time I watch the movie. I am compassionate and I love deeply. This is who I am. I need to understand how to best serve my family and how to best serve myself. I have an ache in my core which carries my courage to push me to accept the unacceptable and to hold that precious gift of time, of making memories that may never stay and of holding the hands and hearts with those who at some point, may never remember who I am nor who they are. It’s like I hold a flickering candle which I desperately protect in my soul. 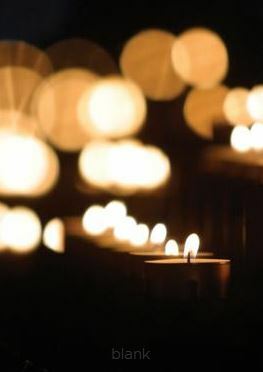 I hold my candle in the darkness, like a beacon, hoping for that twinge of awareness, even if it is only for a moment. I will feel like I did my best. For I can’t give up on them or on myself. I grieve in the quiet moments of solitude for them and for myself. I call daily, visit monthly and spend hours making sure all their needs are met. I do it with love and compassion and courage for it’s hard. But it’s necessary and I make myself do those things that are necessary even when I want to turn away from the truth. I learned long ago from cancer, that our lives are constantly changing and that we need to find a new normal with each and every experience. We either choose to grow with the experience or we choose to stagnate. We can turn our backs on the experience or we can move out of our comfort zones to find the courage to accept what we deem unacceptable and take baby steps towards a new normal. and treat them as if that is all you see. I love this quote by Dr. Wayne Dyer and it goes with the theme of my past few posts. When we see with our heartlights, our hearts are filled with warmth, love and peace. 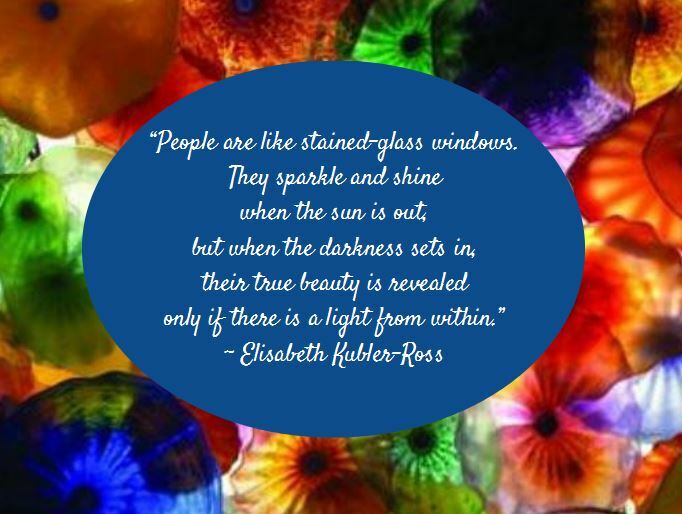 May you see everyone’s heartlight shining today and everyday! This quote found me this morning and I knew I had to share it with you. 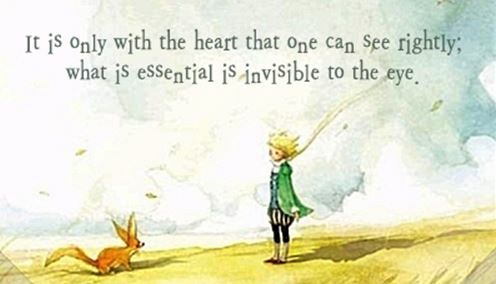 Have you ever read The Little Prince? What do you remember about it? Please share below! 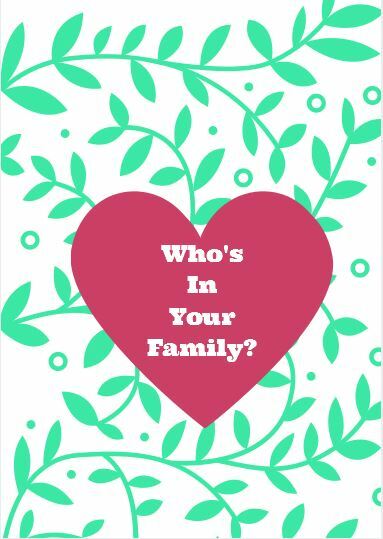 When asked the above question, most people will, without thinking, rattle off a list of names which includes parents, siblings, spouse, children, grandparents, inlaws and may even begin to delve into further branches of the family tree. An occasional animal lover may include pets, both present and past as leaves in the family tree. We consider family as the blood-line or those connected through marriage or living situations. I get it. Because that’s what we’ve been taught. But what if everyone in the world were a part of your family? What if your family wasn’t confined to your DNA gene pool and instead based on loving connections with other souls? What if kindness, understanding, friendship and love were the basis of family? Could you imagine your soul family then? Would it include those in your traditional family unit? I am a leaf/branch/part of a traditional family unit. I could rattle off names of family members both past and present with ease. But I am learning about soul family units as well and I’m finding it really interesting so I want to share what I know from connecting with others. A Soul Family is one which may or may not have DNA included in the dynamic. In fact, many times, those who are part of a soul family do not share genetics nor any other branch of the traditional family unit as we know it. They are souls who connect on a deeper level if you will. I’m not saying that traditional family members do not have the ability to do this as well, because I have witnessed it myself. But there are ties that bind us in a soul family that defy earthly rules. For we are all souls with earthly bodies. Just because you aren’t related to someone doesn’t preclude being a part of a soul family. We are all connected as energy and expanding our loving connections only helps to heal and raise the vibrations of peace to this world. Have you ever heard of a soul family? Do you have anyone in your lifetime with whom you’ve connected like family and yet there’s no traditional family tree involved? “Obstacles can either be binding or freeing. 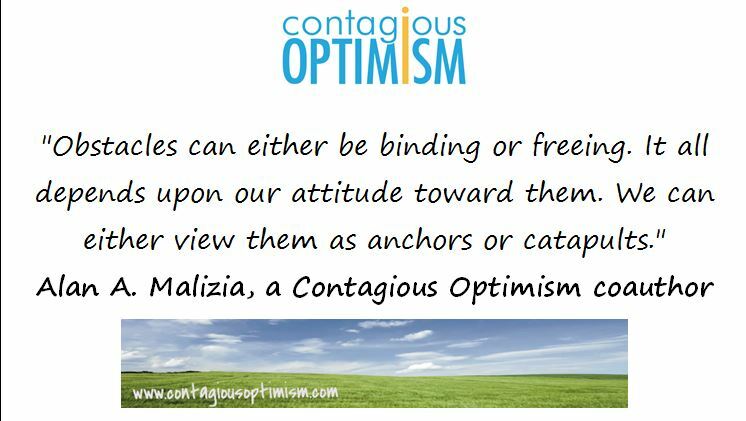 It all depends upon our attitude toward them. I got this in my email over the weekend and I just had to share it! Alan comments on my blog sometimes and I just loved this quote and how it made me think. So I thought I’d pass it along to you! I hope you all had a lovely weekend. Cheers to a beautiful, loving, sweet, productive, happy and healthy week ahead for us all! Catapult away! !